Franklin Green is experiencing an extreme seller's market. 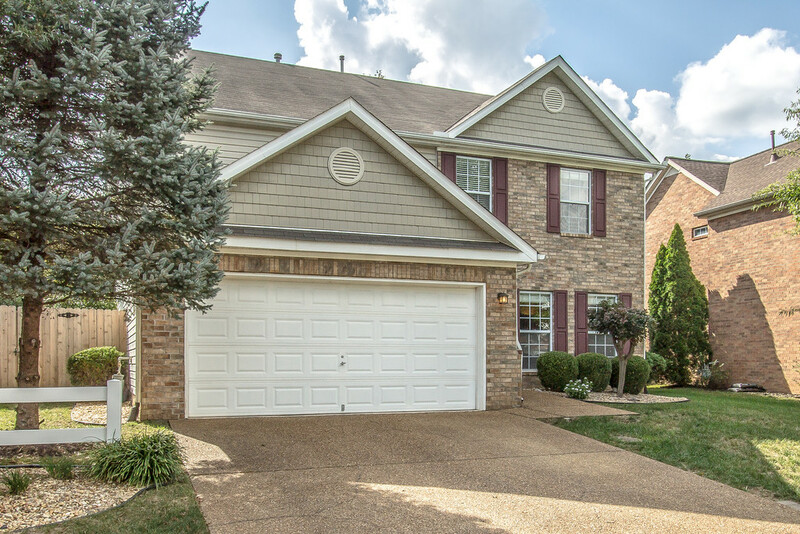 With homes priced under $300,000 in Franklin, this neighborhood is always in demand. The sales price to list price ratio is excellent and the average days on the market are very low, suggesting this is a great time to list your Franklin Green home. 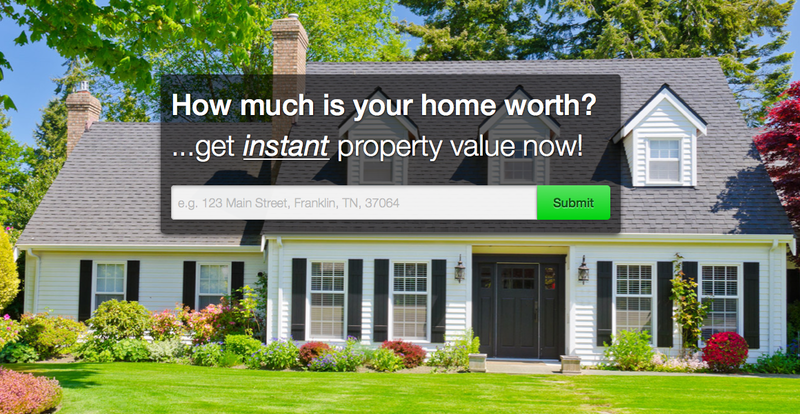 Want to know what your Franklin Green home is worth? Click the photo below to get the instant value of your home. No forms to fill out and wait. Just click and enter your address to receive your valuation in seconds. Franklin Green is an ideal location for those who want to take advantage of the many offerings in historic, downtown Franklin. Buyers love this part of Franklin so preparing a home properly is a must. While the housing market is quite good right now, buyers have become more particular than ever. Making updates such as adding granite counter tops and stainless steel appliances can really set your Founders Pointe home apart which in turn increases what your home is worth. A recent National Association of REALTORS® survey revealed 92% of buyers begin their home search on the internet. Properties heavily marketed there have a greater opportunity to be found by home buyers. This goes way beyond just syndicating your home from the MLS to national portal websites. Because so many buyers are beginning their home search online, photography has become an important marketing tool for real estate agents. The best way to showcase your home is through the use of professional photography. It is by far the biggest bang for your buck. Sellers should always ask their real estate agent, if professional photography will be used. If not, find an agent who will. Don't let an agent tell you because we're in a seller's market it isn't necessary. Guess what? No decent photos, no showings. Professional photography isn't the only requirement. The best way to bring attention to your Franklin Green home is to have an agent who is using the newest technology to get the word out about your home. This includes the use of social media and blogging. Something not many listing agents in the Franklin housing market are doing. We also create a single-property website. This site is used in all our social media and blog posts. It is optimized to be found in the search engines. This single-property website for 1349 Jewell Avenue, Franklin TN can still be found in the search engines. If you search this address on Google, you'll see this website pop up. That house sold last year and Google still shows it in the search engines. That's the type of coverage you want for your listing. With the recent changes in the way our multiple listing service is sending out information to the national housing websites, it's important to have an agent who really has an understanding of aggressively marketing your home on the internet. Especially, if your home has a unique feature that buyers may be looking for. Having your home promoted all over the country is essential to a quick sale. Buyers are searching for key features that your home may have. Unfortunately, the multiple listing services limits the information we can provide about your Franklin TN home. Blogging about your home's features brings that information directly to buyers in search of a home just like yours; no matter where they are in the country. Many of our clients who are from other states who found us from our internet content. Not convinced that Franklin Homes Realty LLC leads the pack in internet dominance, let me Google that for you. As you can see our website, www.FranklinTNHomesforSaleOnline.com ranks in several places on the first page of Google. We are the only local real estate company to do that. The other spots are taken by national real estate sites and brokerages. This placement isn't due to ads. The only way to rank in these spots is by being recognized as an authority by Google for Franklin TN real estate. Curious how we do this? When you get ready to sell your Franklin Green home, contact Tammie White of Franklin Homes Realty LLC at (615) 495-0752 and we'd be happy to share how we can do this for you.